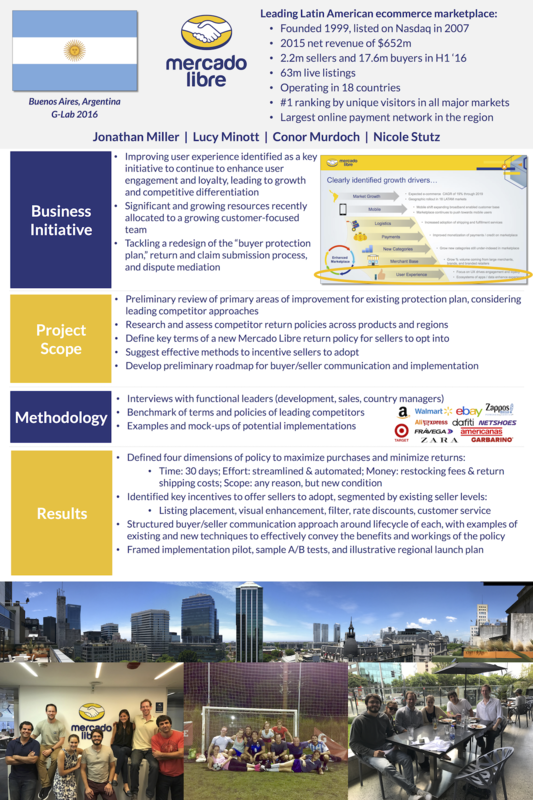 Over the span of six months, I collaborated with MercadoLibre (NASDAQ: MELI), Latin America’s most popular e-commerce marketplace, operating in eighteen countries. I was part of a team of four who developed an overall strategic direction for the company in light of increased market competition from companies like Amazon and Walmart. The project culminated in a month long on-site work sprint in Buenos Aires, Argentina, at the company’s headquarters, where we worked closely with top executives on strategic direction.